We are pleased to announce that LumbaCurve Back Pain Relief has been selected to be showcased on Amazon’s Innovation Launchpad platform. 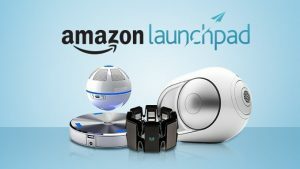 Amazon Launchpad is a unique programme that showcases cutting-edge products to millions of Amazon customers. LumbaCurve is an innovative device designed to alleviate low back pain, naturally. Developed over six years in the UK and combining the best of East and West traditional therapies, LumbaCurve offers easy, effective and drug-free pain relief for sufferers. LumbaCurve International was formally set up by the founder David Pegg, leaving his job in engineering to build on a concept had previously been prototyped over several years with an acupuncturist friend to address lower back pain, estimated to affect some 60% of the population. CEO David Pegg commented “We are really pleased to get this level of recognition from Amazon, By partnering with Amazon Launchpad, LumbaCurve can gain instant access to Amazon’s powerful distribution network and potentially millions of customers worldwide. In the meantime the LumbaCurve is ready for takeoff from the Amazon Launchpad!